The 2005 novel The Ship of Brides by Jojo Moyes, the bestselling author of Me Before You and two-time winner of the RNA Novel of the Year award. Australia, 1946. 650 brides are departing for England to meet the men they married in wartime. But instead of the luxury liner they were expecting, they find themselves aboard an aircraft carrier, alongside a thousand men. 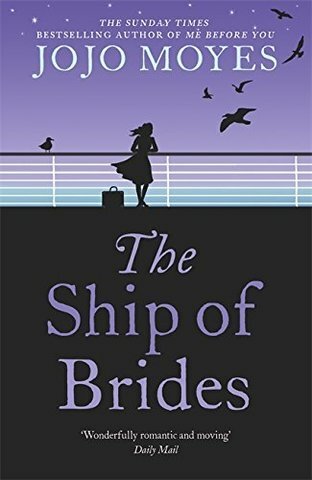 On the sun-baked decks, old loves and past promises become distant memories, and tensions are stretched to the limit as brides and husbands change their minds. And for Frances Mackenzie, one bride in particular, it soon becomes clear that sometimes the journey is more important than the destination.